The casual elegance and timeless style of Old Mill Toronto is unparalleled, making it an unrivalled venue for your special wedding day. 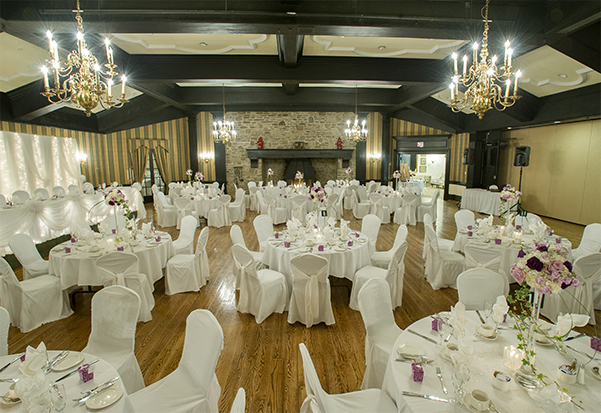 Have the day of your dreams with a romantic wedding at Old Mill Toronto, and enjoy a lifetime of memories. 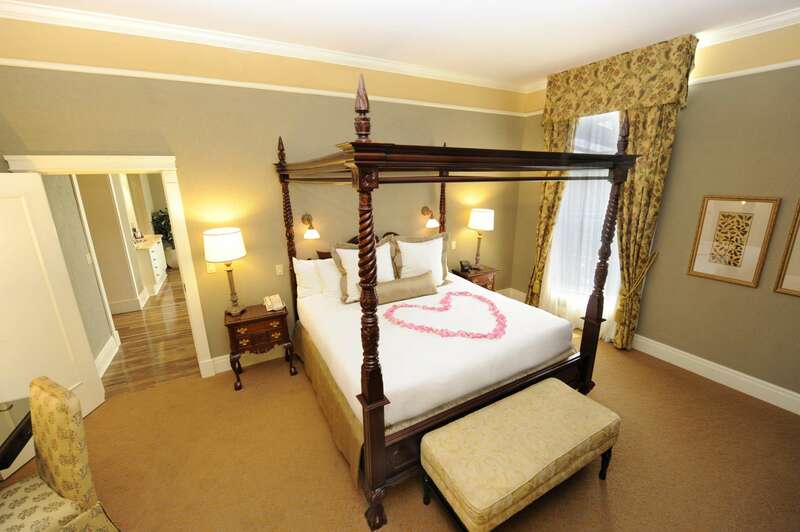 Celebrate your wedding day in one of our elegantly designed rooms that exude both glamour and romance. From the English charm of the Victoria Room to the grand opulence of the Guildhall to the unique, authentic beauty of the wedding chapel, Old Mill Toronto will create the wedding of your dreams. Choose the space that best reflects you and your wedding and our team will help with the rest. 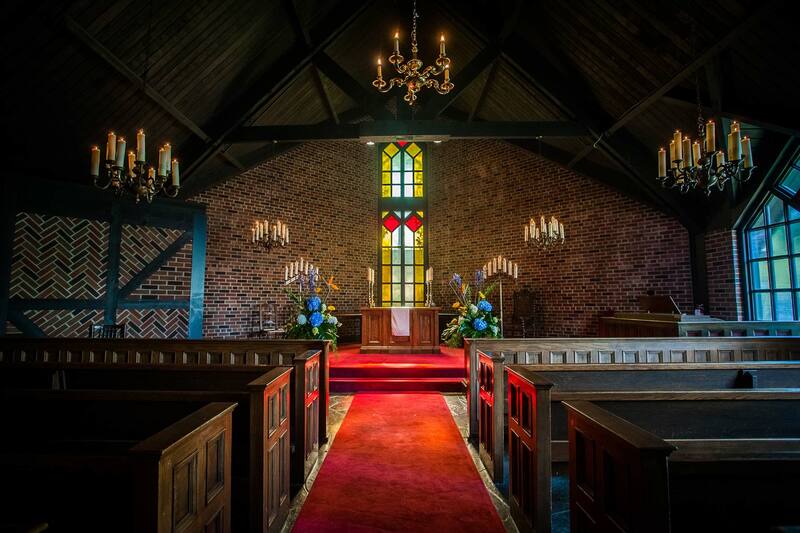 Our wedding chapel is the perfect place to get married if you are looking for an authentic, historical wedding venue. The stained glass windows cast unique rays of light across the pews, the candlelight creates a gorgeous glow, and our resident chaplains will usher you down the aisle for the perfect atmosphere for your intimate wedding. 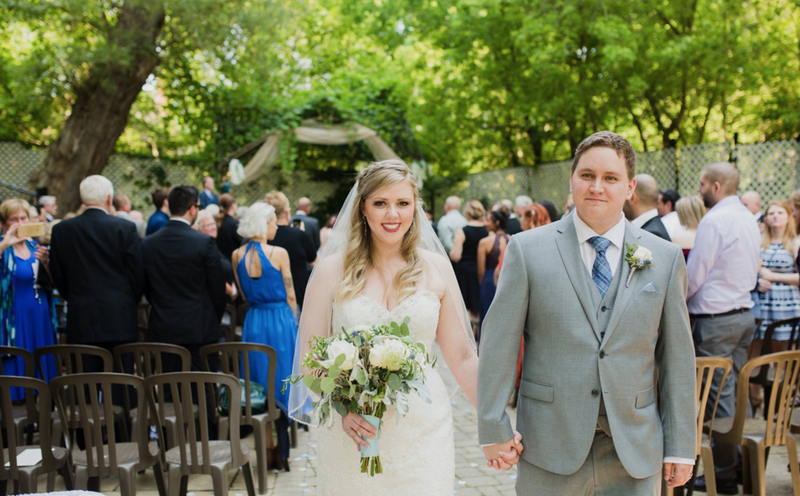 Whether you are exchanging your vows for the first time or re-tying the knot, enjoy a beautiful outdoor wedding ceremony in front of the enchanting architecture of the historical Old Mill Toronto in our beautiful wedding garden. Stroll down the stone path that weaves its way to the beautiful picturesque setting alongside the exterior stonewall with ivy covered trellis fencing. The Humber River runs parallel to your private wedding garden venue where your family and friends are seated in graceful chairs facing the beautiful wedding arch, awaiting your arrival. 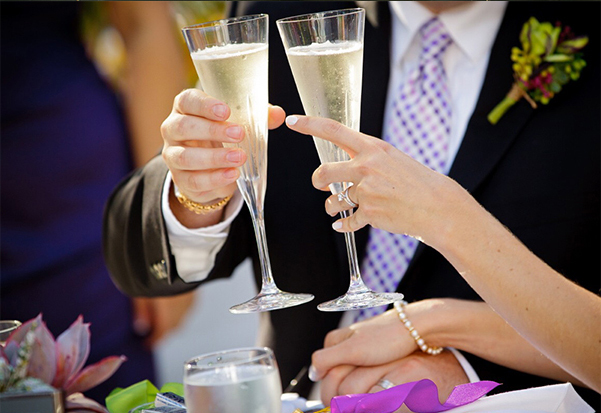 Our wedding executives offer you personalized service to help make your wedding picture perfect. We offer exclusive engagement, bridal shower, and wedding menu packages that have been designed to work within any bridal budget. Our experienced staff will provide extraordinary warmth, hospitality, and service to you and your guests. The luxurious Old Mill Toronto Hotel offers preferred accommodation rates for your wedding guests. The beautiful rooms and suites will complement the beauty of your wedding, and make the experience an unforgettable one for your guests.